Nerve growth factor (NGF) promotes pleiotropic gene transcription-dependent biological effects, in neuronal and non-neuronal cells, including survival, proliferation, differentiation, neuroprotection, pain, and angiogenesis. It is hypothesized that during odontogenesis, NGF may be implicated in morphogenetic and mineralization events by affecting proliferation and/or differentiation of dental cells. Tuftelin belongs to the enamel associated teeth proteins and is thought to play a role in enamel mineralization. We previously reported that tuftelin transcript and protein, which are ubiquitously expressed in various tissues of embryos, adults, and tumors, were significantly upregulated during NGF-induced PC12 differentiation. To further confirm the involvement of tuftelin in the differentiation process, we established a tuftelin-knockdown neuronal PC12 cell model, using a non-cytotoxic siRNA directed towards sequences at the 3′ UTR of the tuftelin gene. Using real-time PCR, we quantified tuftelin mRNA expression and found that tuftelin siRNA, but not scrambled siRNA or transfection reagents, efficiently depleted about 60% of NGF-induced tuftelin mRNA transcripts. The effect of tuftelin siRNA was quantified up to 6 days of NGF-induced differentiation. Using immunofluorescence and western blot analyses, we also found a direct correlation between reduction of 60–80% in tuftelin protein expression and inhibition of about 50–70% in NGF-induced differentiation of the cells, as was detected after 3–6 days of treatment. These results demonstrate an important role for tuftelin in NGF-induced differentiation of PC12 cells. 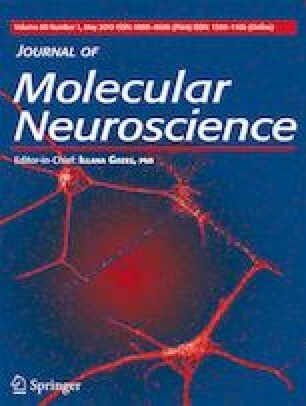 Tuftelin could be a useful target for drug development in disease where neurotrophin therapy is required.